Kudos to Facebook as they are not only connecting people but also providing them with a user friendly marketing platform with different easy to use products like pages, ads etc. Though Google+ is the buzz of the hour, yet it hasn’t reached the level Facebook already has. And Google+ PPC and ads are yet come up with their innovative styles and ideas. Marketing has turned into an indispensable entity and successful is the one who markets well. And Facebook till date is the best platform with both targets and tool. So if you are an entrepreneur then Facebook has its Ad platform no less than manna for you and for your business. · Enormous Traffic: Facebook is among the top five popular websites in the world. Successfully moving towards 750 million users mark, it has surfaced as the most successful platform to market anything and everything in the world. Though Google+ is on its way to become the most popular social networking site, yet as I said above, it lacks certain products and options. · Attention Graber: The basic principle of marketing nowadays is to catch short attention span of the users. So your presence at Facebook Ads will grab unimaginable number of glances from the users. The tremendous traffic will surely raise the ratio of views by the audience. Survey shows that people around the world spend at least 25 minutes a day on Facebook and for that very reason it is bound to bring in your piece of traffic. Facebook posses wide demographics and has proved successful in both local and international markets. · Targeted Traffic: “Reach the right people at right time” rightfully flaunts Facebook. Let’s say if you are into digitizing business then it will commute your data and present the relevant Ads at your Facebook page. The data pitched in by the users has empowered Facebook to target the desired demographics successfully. The case study of CM photographers caught my attention on Facebook, relaying another amazing Facebook marketing success. CM photographers bagged $40,000 in 12 months directly from a $600 Facebook Ads investment. So if you are an entrepreneur then Facebook Ad is the right tool for you. · Business Friendly: Unlike any other conventional marketing ways, Facebook Ad has really thought out of the box. You can manage your budget, adjust it according to your needs and believe it or not you have the choice to pay only when people see or click your Ad. So what are you waiting for? · Customized Ads: Nowadays everyone is looking for a personalized version of everything to suit their needs and this is what Facebook Ads are all about. You can increase the influence of your Ad by adding “like” button to it and there are many more possibilities available to enhance your ads. The Ad image and Ad copy both gives you a power to stir the attention of your target and get the desired level of traffic and business. · Control the Ad Budget: Whether you have a $600 budget like CM photographers or a $100 budget for your FB Ad, you can always control it as you wish. You can set the daily budget up very easily and even can adjust it at anytime you want. You may also control the budget by choosing the appropriate bid while creating the Ad. My personal tip for such a campaign with a tight budget is to stick to the lowest possible bid rate as suggested by Facebook itself. Success Stories: Inspiration is the instinctive urge of an entrepreneur and for that very reason I would like to discuss few success stories to inspire you. 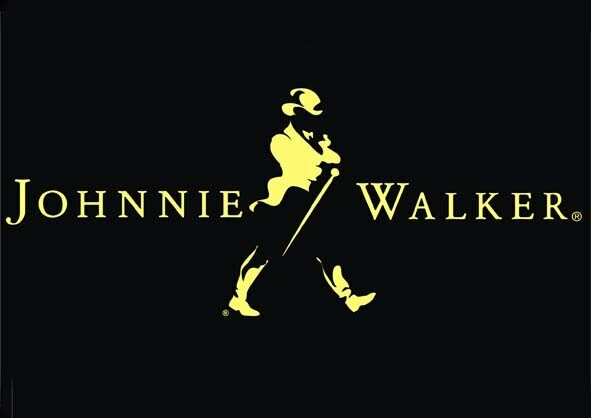 · Johnny Walker Revamped: Image building and revamping the brand image is the most pertinent modern market demand. Johnny walker was launched in Malaysia in association with Moet Hennesy and they badly required some localized marketing campaign. Their target was successfully achieved with help of Facebook Ads. The localized campaign through Facebook helped them reaching the target audience with the right incentives. A contest was organized where winners were given the tickets for them and their three friends to a popular event. This interactive campaign worked wonders for Johnny walker sales in Malaysia. The campaign earned Johnny walker Malaysia page 29, 830 fans with 39 percent increase expected which was far greater than the estimates. It resulted in creating new and deep bonds with the users. · 18,000 Flowers .com: It’s another Facebook advertising success story. Facebook advertising campaign helped the florists company in staying at top position on Valentine’s Day. The campaign offered Facebook credits, special discounts, customer stories etc. The results were amazing as their Facebook wall engagement with users increased by 250 percent, the florists site received 400 percent traffic streamed through Facebook and much more. If it can work for them then why can’t it work for your business success? Just pause for a moment and give it a thought. Remember, personally you may avoid Facebook but your business can’t avoid being on Facebook.